We believe that everyone needs and deserves a complete, customized Will and estate plan. 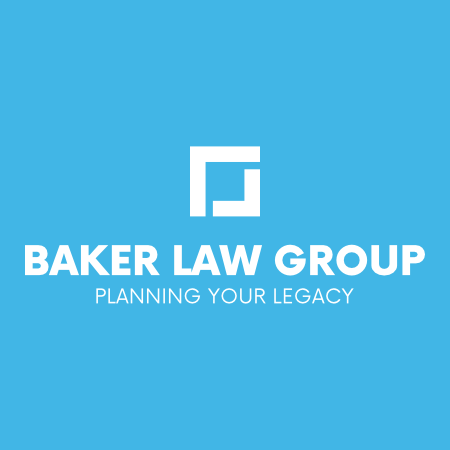 Diane Baker and the other professionals at Baker Law Group are dedicated to providing thoughtful, complete legal services, and protecting the interests of our clients both in the planning phase, and when handling probate and settlement of estates. Our attorneys and staff also provide the same detailed, thoughtful level of service to clients with Business Law and Pre Nup cases. Diane Baker has been rated an AV Preeminent™attorney by Martindale-Hubbell* for over 20 years. Martindale-Hubbell ratings are an objective indicator of a lawyer's ethical standards and professional ability, and are generated based on confidential peer reviews from other lawyers and members of the judiciary. AV Preeminent™ is the highest rating, indicating the highest level of professional skill and ethical standards. Ms. Baker is also a featured attorney on Avvo, a website that helps consumers get answers to legal questions and locate attorneys to assist them. To read Ms. Baker's answers to legal questions on topics related to Wills, Estate Planning, Probate and Business Law, go to our Avvo Answers page. We are committed to providing legal work of the highest quality, and maintaining a high level of professionalism. ​We understand that our clients deserve our personal and timely attention, and we strive to communicate complex legal concepts in language that our clients can understand. Deborah is an experienced Estate Planning and Business Law attorney. She works with our clients who have ties to North Carolina. Learn More ..
Traci is the person behind that friendly voice you hear when you call our office. * Martindale-Hubbell is a registered trademark; AV and AV Preeminent are registered certification marks;Martindale-Hubbell Peer Review Ratings are trademarks of Internet Brands, Inc.